View Everyone's a user on Notist. Why do designers love to hate clients? Sometimes it feels like clients ‘don’t get’ what we’re trying to achieve or that they focus on the wrong details. It’s up to us to achieve great results for our clients — creating an inclusive relationship is the first step. As UX designers we can be guilty of focusing only on the end user experience to the detriment of our client’s experience. We forget that our stakeholders are users of the design process we take them through. 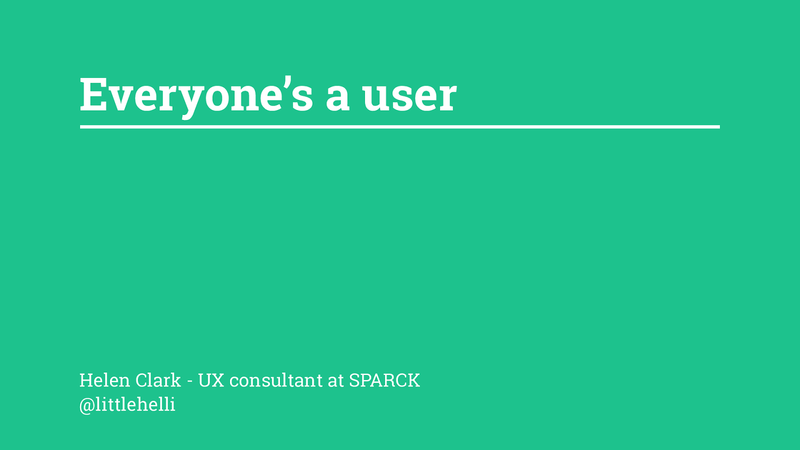 This talk looks at how we can make the design process better for our clients, and their users.